Here is another one Red Remover Odd One Out Picture Riddle for Kids. In this Picture Riddle, you are shown three similar looking pictures. You have to find the Red symbol which is different from other two similar looking symbols. This is an easy picture riddles for kids. 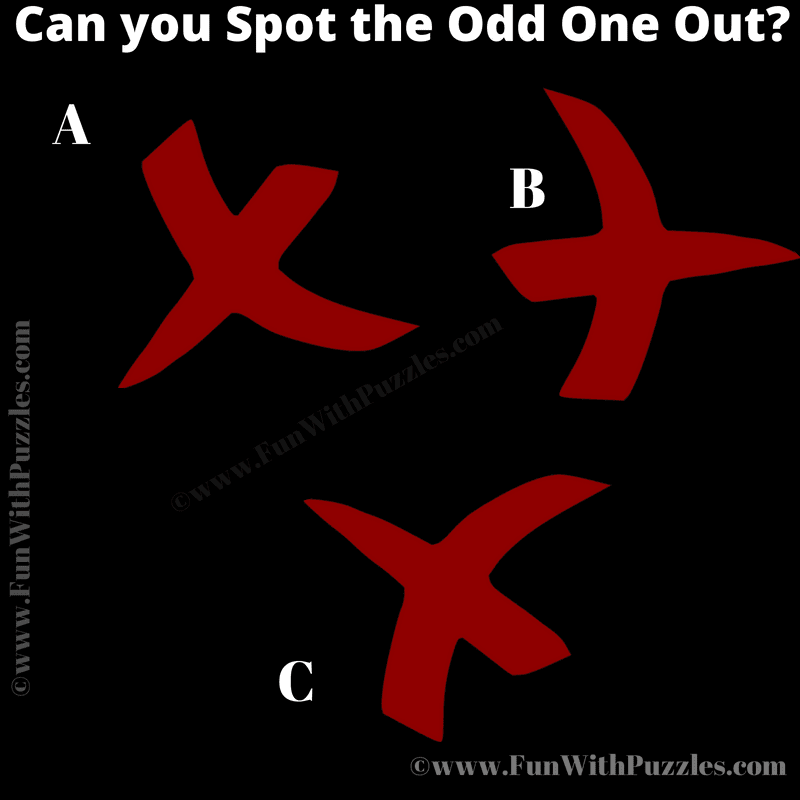 Lets see how much time you will take to spot the odd one out? Can you spot the Odd Symbol Out? Answer of this "Picture Riddle to spot Out One Out for Kids", can be viewed by clicking on button. Please do give your best try before looking at the answer. The Answer is C. This puzzle image is mirror image of other two pictures.